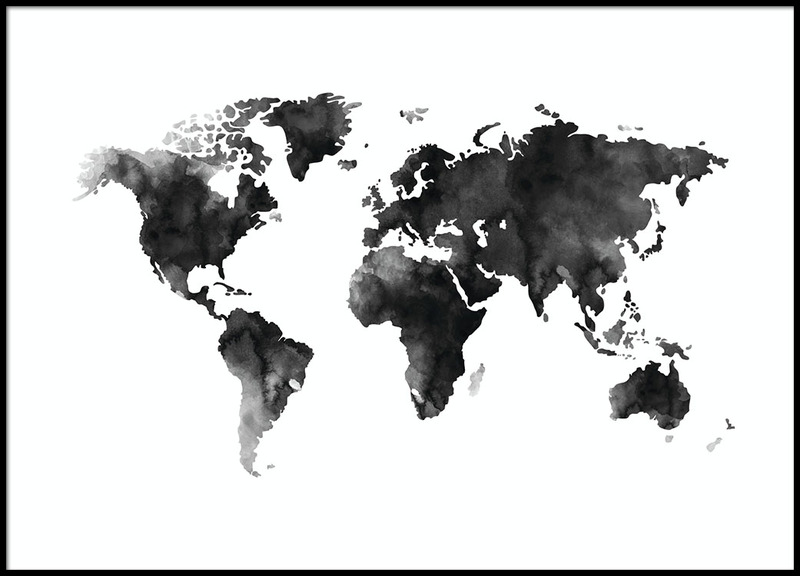 Handpicked design World map in black and white painted in watercolour. 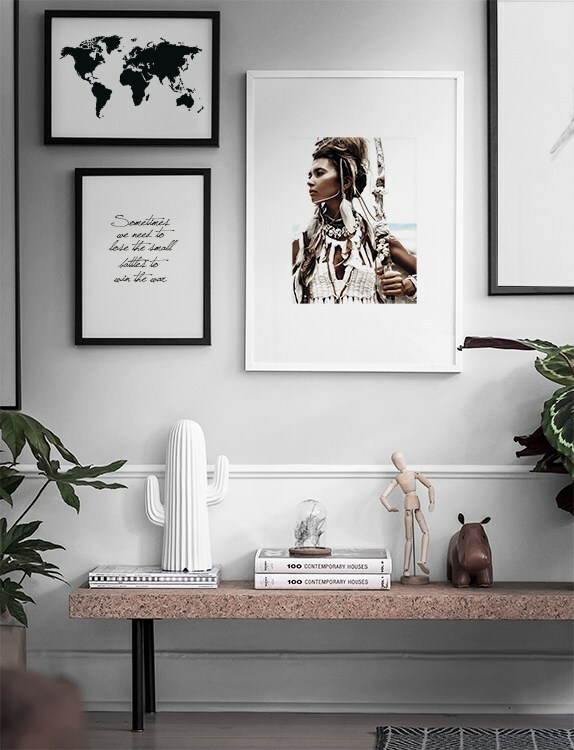 Add a nice frame and create your own unique gallery wall! 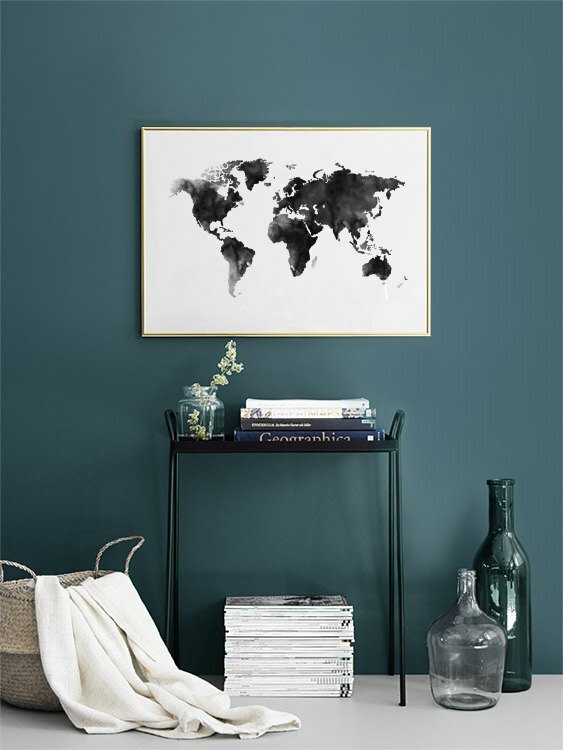 Our Maps and Cities category features similar posters and prints that work wonderfully together!